PLEASE READ!!!!! ALL INFO IS HERE!! No Calls/No shows will not be allowed to book ever. Late fees $5 for every 10mins your late. After 25 mins late automatic cancel. Deposits are required for booking and are NON REFUNDABLE and does apply toward service. Deposit from cancellations do not apply to new appointments. 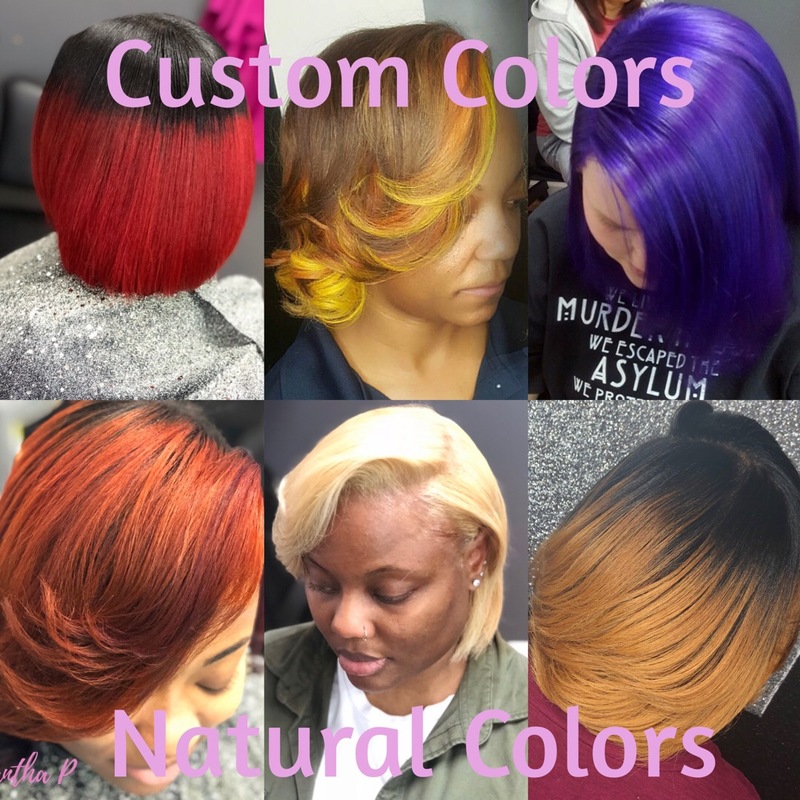 If you book a color please notify me of the color you are wanting so that I will have your color ready for you. I DO NOT color relaxed hair or previous relaxed hair. I DO NOT color hair any Grey's or Silvers. All colors do include a silk press. If your in a hurry to be at your next destination please do not book a color sometimes it may take more time than and rushing is not an option. Keratin Blowout​ are hair smoothing treatments used to straighten hair without causing any damage to the hair follicles, eliminating frizz lasting up to 6 six’s frizz free.